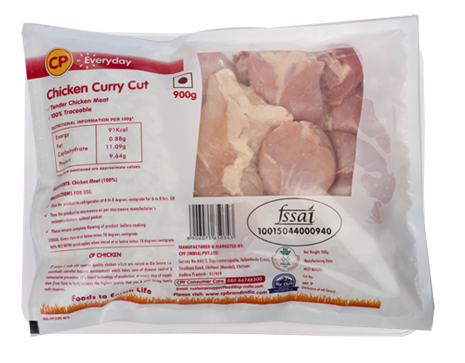 Frozen products packed carefully with all key nutrients and freshness intact using Air Chill Technology. Freezing offers a longer shelf life for products. 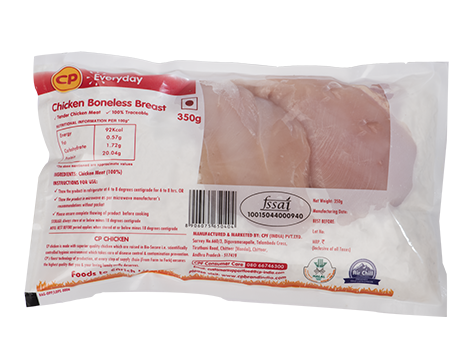 Protein rich boneless chicken breast cleaned and packed to perfection. 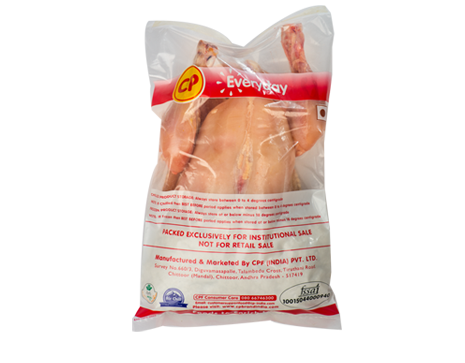 Available in 350g pack and also in institutional pack of 2kg. 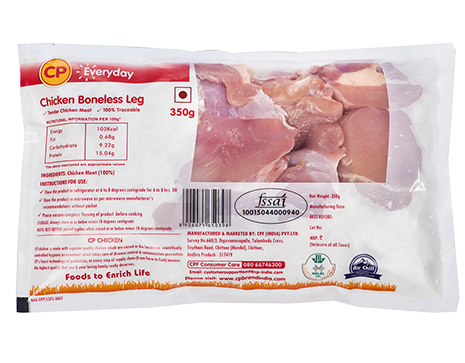 Juicy chicken legs cleaned and packed with all key nutrients intact. 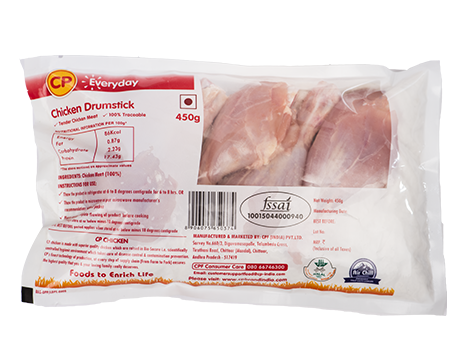 Protein rich chicken drumsticks cleaned and packed to perfection. 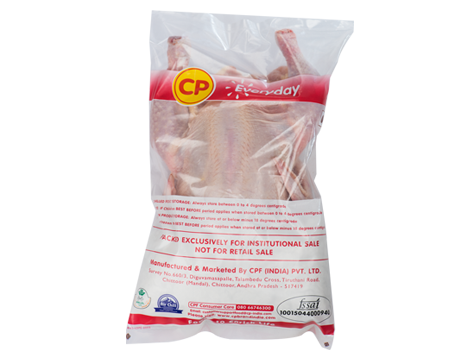 Available in 450g pack and also in institutional pack of 2kg. 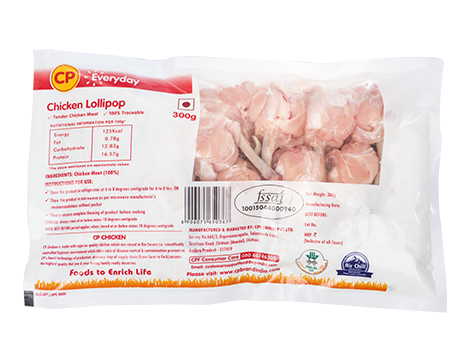 Succulent chicken shaped into lollipops. Available in 300g pack and also in institutional pack of 2kg. Chicken cut into convenient pieces. Available in packs of 500g, 900g and institutional pack of 2kg. Protein rich whole chicken with skin removed. Available in 800g pack and also in institutional pack. Protein rich whole chicken with skin.